Commuters who take trains or buses to work face a cut of up to $1,380 in their annual pretax transportation benefits, while commuters who drive will get a slight increase, starting next month. 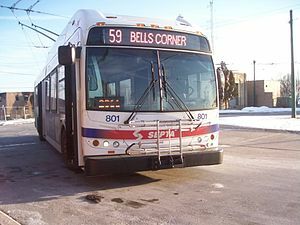 Currently, both transit riders and drivers can set aside up to $245 a month to cover their commuting costs, through plans managed by their employers. That “transportation fringe benefit” is similar to flexible spending accounts for medical or dependent-care expenses. Employees elect to deduct a certain amount of their salary for commuting costs; employees benefit by reducing their taxable incomes and employers benefit by reducing their payroll taxes. But the transit benefit is caught up in tax-policy debates in Washington, and time is running out for congressional action to prevent the benefit from reverting to $130 a month (the 2012 limit of $125, plus a $5 inflationary bump). The parking benefit, meanwhile, is set to rise to $250, from the current $245.